Recently I just completed my training on Discernment Counselling. Before the training, I was practising as a couple therapist. Sometimes, I too find myself at a deadlock when working with “mixed-agenda” couples, where one partner is considering divorce, while the other wants to preserve the marriage and start therapy. Such couples are a common and difficult challenge in session. Almost everyone go in marriage with the dream of a lifelong union. Nonetheless many couples reach a crisis point where divorce is on the table and usually the couple will find their way to therapy as a last resort. When one or both of them is already thinking about ending the relationship.Dr. William Doherty envisioned a new type of therapy for couples on the brink of divorce called Discernment Counselling, to help address this complex situation facing couples whom he describes as “mixed-agenda,”. 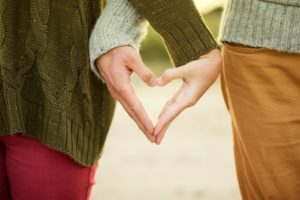 Most often, there is one “leaning-out” spouse who thinks that divorce might be the best way to move forward, and one “leaning-in” spouse who wants to preserve the marriage and make things better. This is a time of high emotions and intense anxiety, both for the person who is leaning out of the relationship and the person who wants to save it. While everything is intense, it’s a tough place for the couple to be, the harder the couple try to fix it the worse it gets usually. Traditional marriage counselling may not be helpful if one of them is not sure that they want to work on the marriage at this point. Discernment counselling is a chance to slow the decline into disconnection and take a deep look at the options for the relationship. A trained discernment counsellor holds hope for both partners—no matter their positions—while a decision about the future of the relationship is reached, whether that decision is to divorce/break up or make one last effort at repair. – It moves toward ending the relationship. Although, some path two decisions are not mutual. In that one partner chooses separation or divorce against the wishes of their partner. Hence, the goal of a path two decision would be for both partners to feel clear and confident about a decision to part ways. When couples choose separation or divorce, the discernment counsellor makes them aware of additional resources, including individual therapists and divorce professionals who can facilitate a healing and fair separation process. – Make a six-month commitment to couples therapy in an all-out effort to restore the relationship to health. Separation or divorce are taken off the table during the couples therapy process, and at the end of six months both partners are invited to make another decision about whether to stay or leave. Couples therapy, in turn, is more likely to succeed because both partners are committed to applying themselves fully to the hard work of change. 1. Deepened clarity and confidence about a decision for the future of the marriage or relationship. 2. Deepened understanding of what has happened to bring the couple to this point, and an understanding of the role each partner has played in problems to date. 3. A mutually agreed-upon plan of action, should the couple decide to repair the marriage in couples therapy. What occurs at the end of Discernment Counselling? Couples come to the end of the Discernment process when they’ve decided that they are willing to commit to six months of intensive work on the relationship (Path Three: Couples Therapy), or they are ready to move toward the ending the relationship (Path Two: Separation or Divorce), or they’ve decided against any change for now (Path One: The Status Quo). Discernment counselling is short term work, as brief as one session and as long as five sessions. Couples are only committing themselves to one session at the outset, and then decide each time whether to return, up to a maximum of five sessions. The first session is two hours long and any subsequent sessions 1.5 hours. So, for mixed-agenda couples, the best way to work with them is to provide Discernment Counselling. It is a valuable tool in helping couples make a thoughtful, intentional decision about their marriage. © Faith Foo, www.faithfoocounseling.com . Unauthorized use and/or duplication of this material without express and written permission from this site’s author and/or owner is strictly prohibited. Excerpts and links may be used, provided that full and clear credit is given to Faith Foo and www.faithfoocounseling.com with appropriate and specific direction to the original content.